This slow-crawl into claustrophobic existential hell never leaves the confines of an elderly matriarch’s decaying apartment. In a series of terse dialogue scenes, her son, her nurse, her nurse’s discontented lover, and a new lodger quarrel incessantly, their range of emotions running the spectrum from brooding malaise to full-on shrieking fistfights. 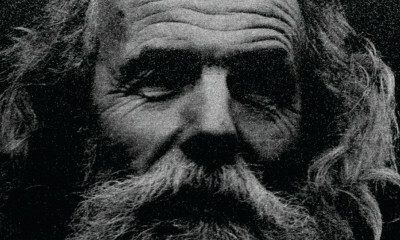 Almanac of Fall never wavers from their selfish pursuit of the old lady’s money, and what makes it profound is not the character development or the plot, which doesn’t advance so much as spin around in a vicious circle, but the startling visual approach of Hungarian filmmaker Béla Tarr. This film, made between the socio-political gritty naturalism of his amateur early films and the extreme poetic formalism of his masterpieces Sátántangó and Werckmeister Harmonies, uses an expressionistic color palette of creepy pale blues and greens contrasted with glaring hot orange, often within the same frame, to portray the uneven emotional states of the characters. His use of the extended long take to suggest breadth and depth starts here, but instead of very wide shots impassively moving in on his bitterly caustic nightmare scenarios, he sticks to extreme tight close-ups on the rugged, worn-out faces of his actors. That makes it all the more shocking when he chooses to abruptly cut to below the floor, looking up as one of the housemates takes a savage and unrelenting beating, or a God’s eye view from above as a jilted lover quietly takes a straight razor and shaves the beard of his nemesis while whispering lies into his ear like a blunt and righteous Iago. There’s no hope to be found here, and Tarr hadn’t yet achieved the stunning visualization of the apocalypse he discovered in the climactic images of his most recent films, which shows devastation on such a wide epic canvas it achieves sacrilegious grace. But if we subscribe to the idea that the profiteering of man leads to the death of an absent God’s morals, the unrest of Almanac of Fall lays down the first stones. The colors, so crucial to the emotional through-line here, are distractingly muddled, but the sound design is mercifully audible. 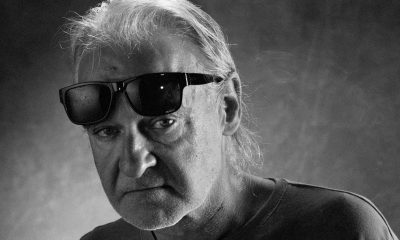 Facets once again reprints the cohesive and thorough article on the career of Béla Tarr by film scholar Peter Hames previously seen in the accompanying collectible booklet for Damnation and Werckmeister Harmonies. When they release Sátántangó let’s hope they dig a little deeper into the press archives. But Jeremy Heilman’s accompanying review of Almanac of Fall is sharp and incisive. There are no additional extras. This is the turning point for Béla Tarr, leaving social realism behind to step into the existential abyss.